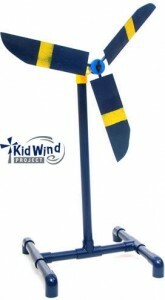 This fun DIY project is easy enough to make with kids, and is a great way to get them excited about renewable energy. It doesn’t produce a ton of power, but kids will be amazed at their ability to illuminate a light bulb all on their own. 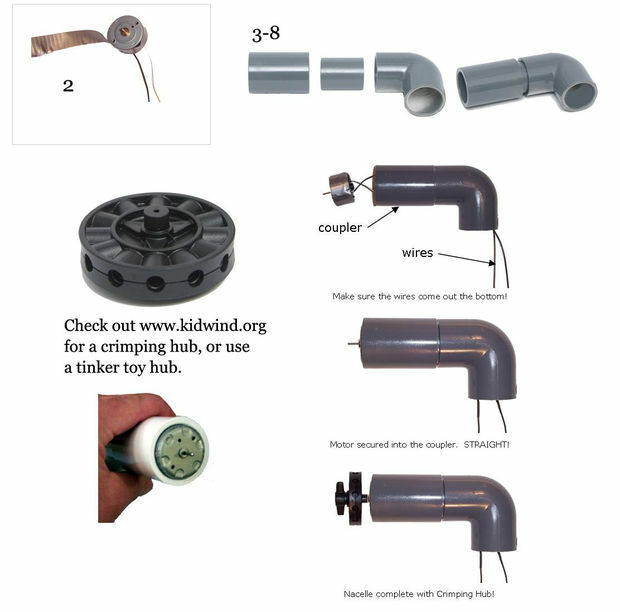 Some of these parts can be specially ordered from KidWind. Take 4 90° PVC fittings, 2 PVC T fittings, and 4 6″ PVC pipe lengths. Fit them together to make the side bars and “feet”. 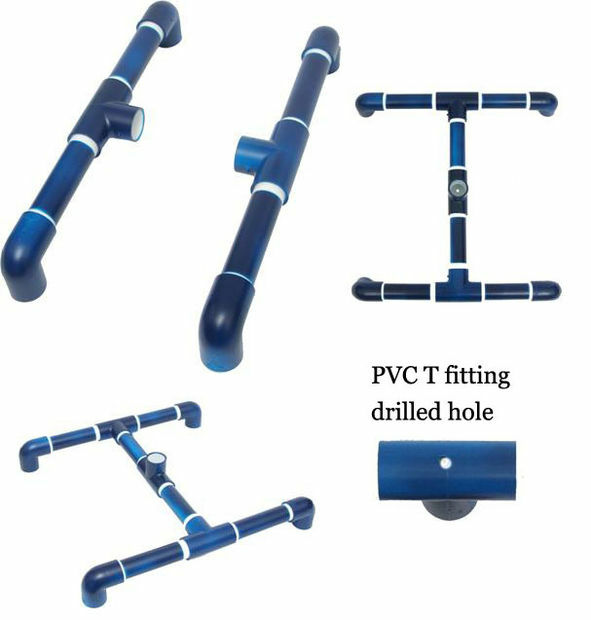 Drill a hole in one of the leftover T fittings and use it as the middle piece so that the wires can be hidden inside the PVC. The motor needs to be connected to the wires. Wrap the motor in duct tape to keep it in the PVC.. Take 1 90° fitting, 1 PVC coupler and 1 2″ length of PVC and connect them to form a single, L-shaped piece. The motor can then be put into the coupler, with the wires threaded through the newly-made PVC tube. Now take the wires and continue threading them down the base through the hole that you drilled earlier. Put the L-shaped tube on the top. Attach the PVC base to the tower using the T fittings. 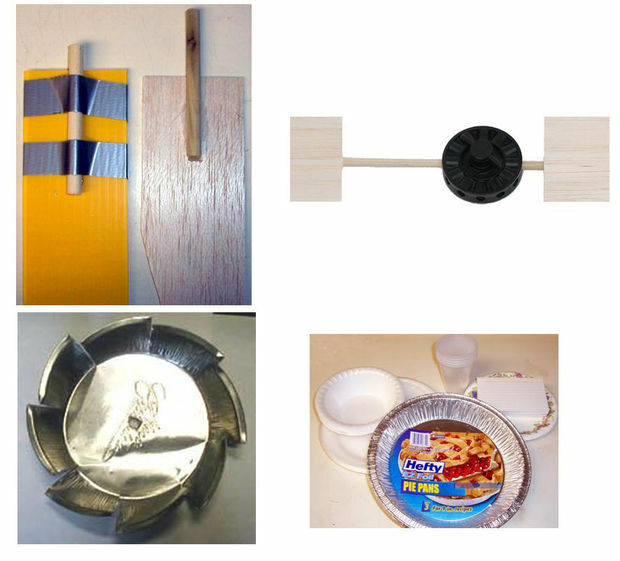 Cut blade shapes out of the balsa wood or paper plates. Attach these to the dowels, and insert the dowels into the crimping hub. Make sure the hub is tight. Take a Christmas LED lightbulb, strip the wires and connect them to the ones used in the turbine. This project is both fun and an excellent opportunity to teach kids about forces, energy transfer and electricity. More construction details can be found here.